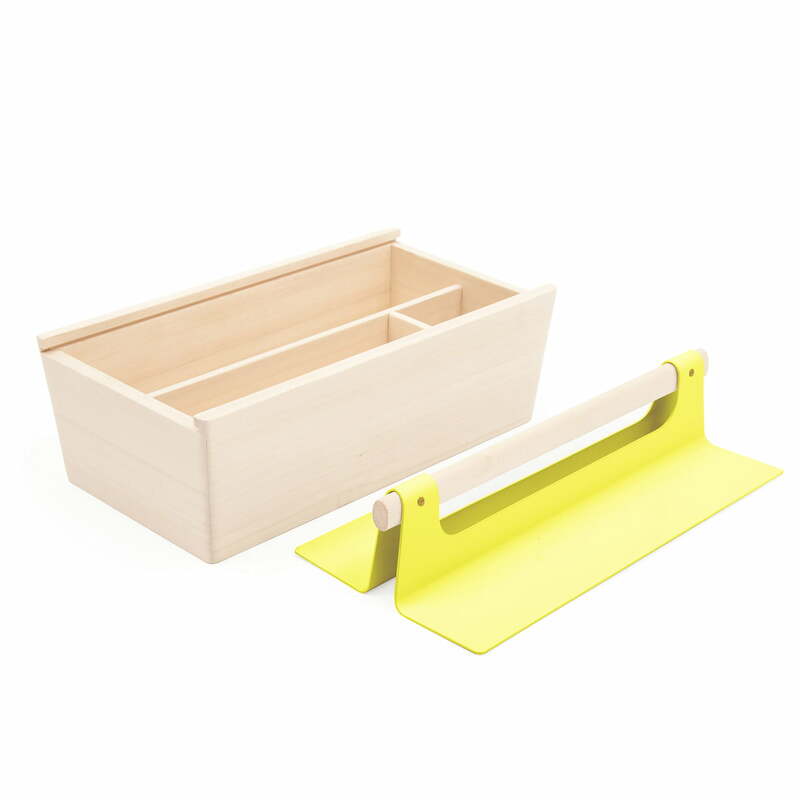 The Louisette Tool Box by Pierre Dubourg for Hartô is an elegant wooden box with a metal cover and integrated carrying handle, which is versatile in use. 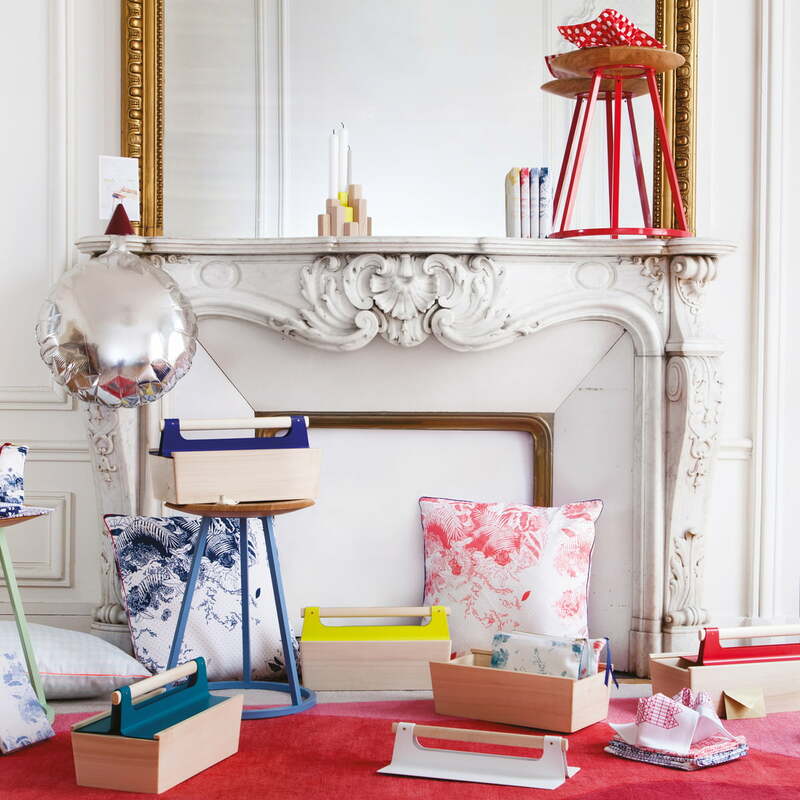 The inside of the Louisette Toolbox Pierre Dubourg of Hartô allows to store writing utensils, tools, toys, jewellery, etc.. Regardless of whether it is supposed to be a tool box in the garage or to store building blocks in the nursery, the box is always a good choice. The Louisette Toolbox, as well as the handle on the cover are made from ash wood. The metal lid is covered with a matt varnish layer in many colours and adapts to any interior style. Individual image of the Louisette Toolbox by Hartô in strawberry red (RAL 3018). The Louisette Tool Box is made from ash wood and matt lacquered metal. Individual image of the Louisette Toolbox by the company Hartô in water bleue (RAL 5021). 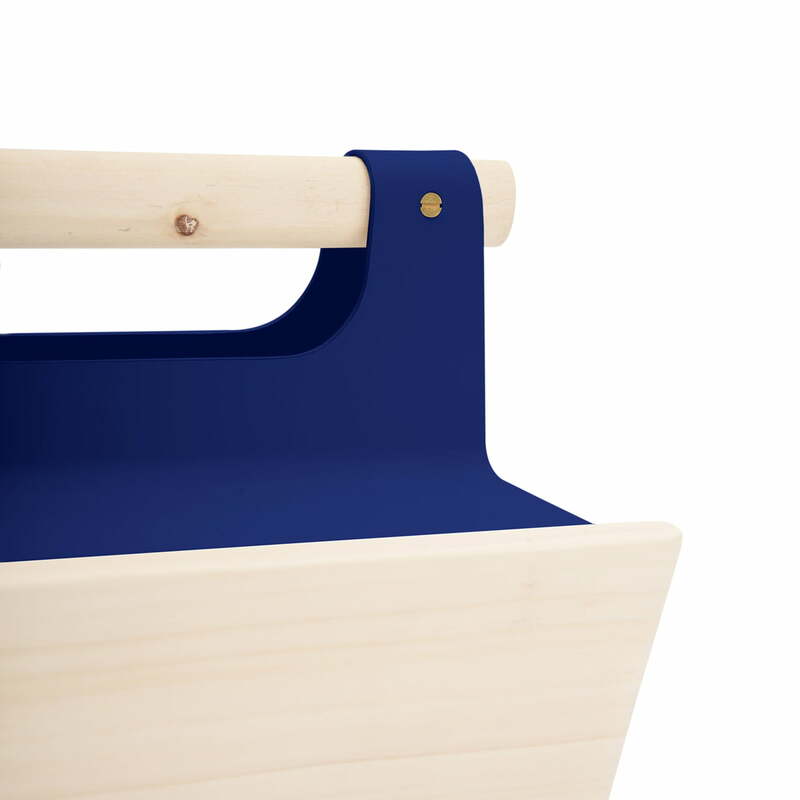 The Louisette Tool Box is made from ash wood and matt lacquered metal. 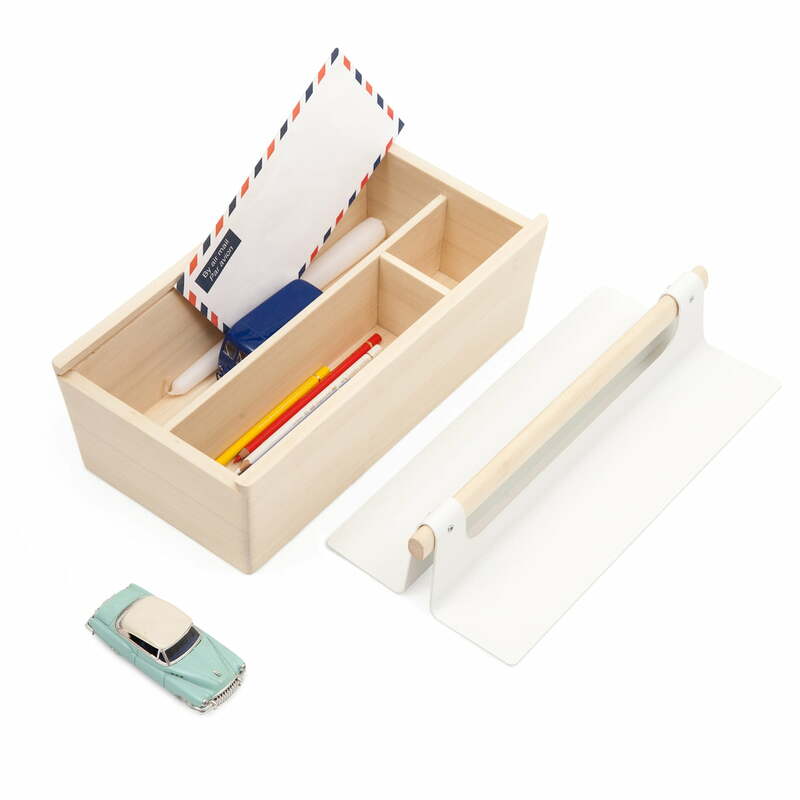 The internal division of the Louisette Toolbox from the designer Pierre Dubourg for Hartô allows to store writing utensils, tools, toys, jewellery, etc.. 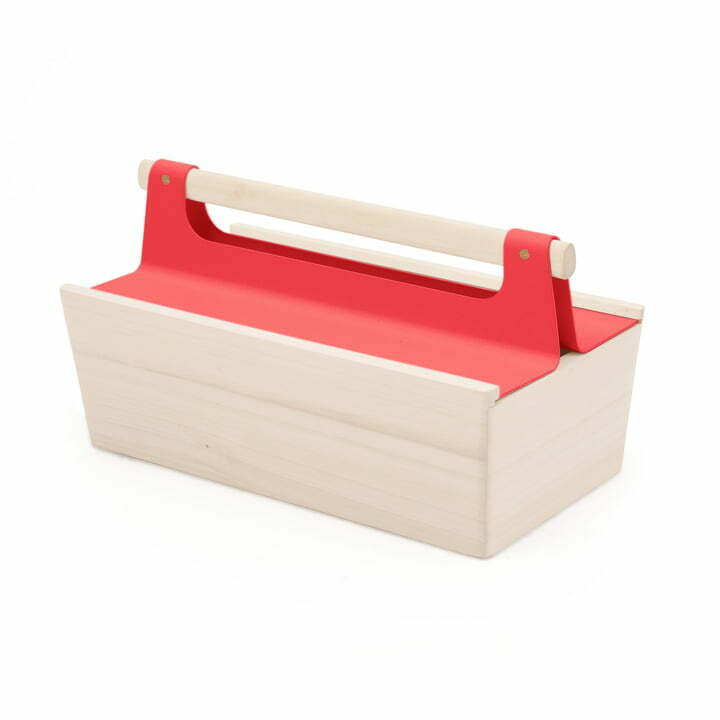 Regardless of whether the Louisette Tool Box is supposed to be a tool box in the garage or to store building blocks in the nursery, the box is always a good choice.